I've recently picked up a hobby, as I wasn't doing anything on my free time. Learning something new is definitely an opportunity I would take! So I enrolled myself in the latest intake at Goldsounds DJ Division. Why DJ-ing? Because I love music. It's not only about the whole scene or entertainment purpose, but I want to learn about beats, mixing and so on. Watching DJ's live on deck and understanding what goes on behind is two different things. prominent fixture in the Malaysian music scene for the past decade. 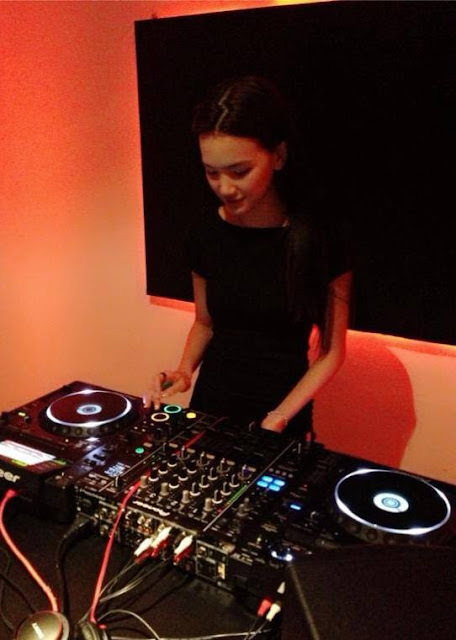 Originally intended as a music production studio, it is now diversified to include training a new generation of versatile DJ's who are able to suit the needs of this growing market in Malaysia. There are four separate rooms in total, each with their own CDJ set. There are advance ones and basic ones too. This is where I spend most of my time! I'm starting off with the basic CDJ Course, and it wasn't hard at all. It was fun and I even learned so much on my first day. This course is designed for the individual who has no understanding in the art-of-djing,and is interested to learn and experience the fundamentals of mixing.At the end of the course,Students will be able to perform seamless mixes on the CDJs as well as have a better overview of DJing as a hobby or a full career opportunity. This course is designed for advance mixing skills & effects. Students will be taught techniques which are relevant to creating unique sets for club performance. Pick up a new skill or hobby today, learn more about DJ-ing, or just make new friends. Register yourself for the latest intake! Address - No.65C, 3rd Floor, Jalan SS15/8A, Subang Jaya, 47500 Selangor, Malaysia.